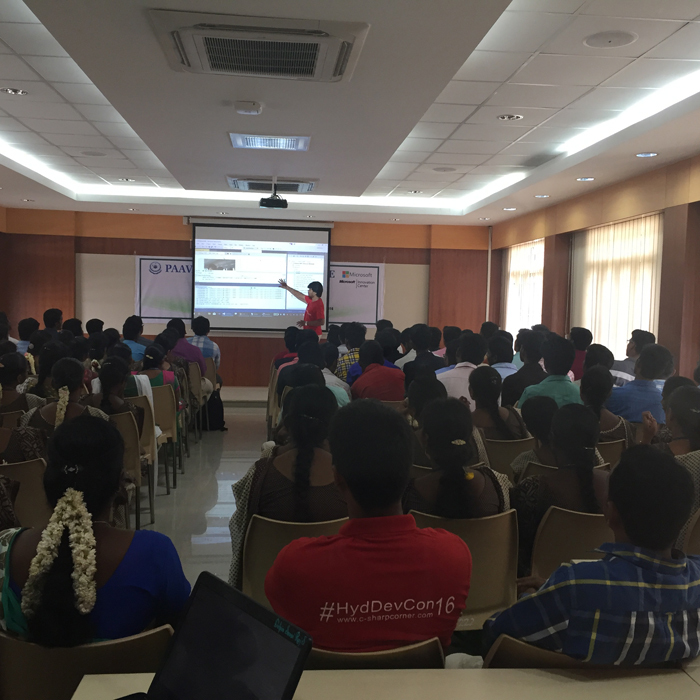 Paavai Microsoft Innovation Center and CSharp Corner jointly organized an one day Program – “Understanding Universal Windows Platform” on 20-09-2016. 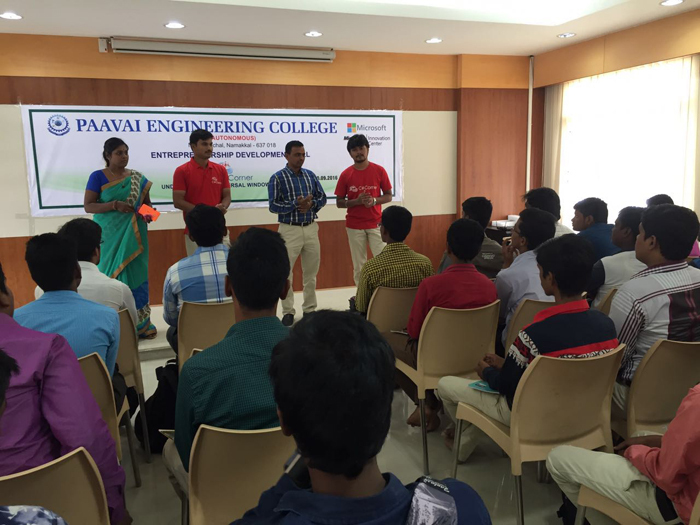 Totally 149 Paavai students participated in this event. 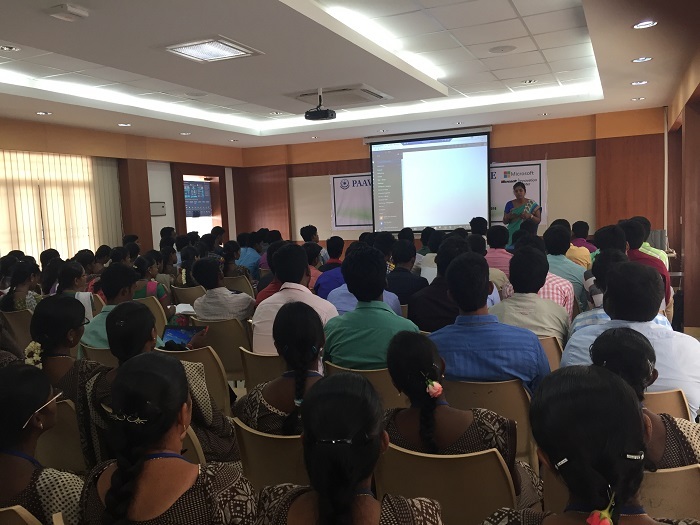 “UWP from Scratch” by Mr. Abdul Rasheed Feroz Khan, Chapter lead ,C# corner Coimbatore Chapter and Trainer, Microsoft. The second session by Miss Alagunila Meganathan, Asst. 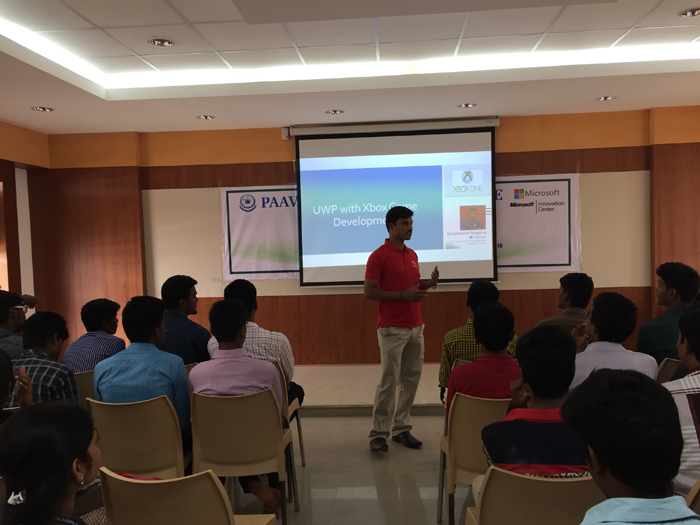 Prof, MCA was on “UWP with Azure Cloud”. The Third session by Mr. N. Kuppurasu, MVP, Microsoft on “UWP with Xbox Game Development”. 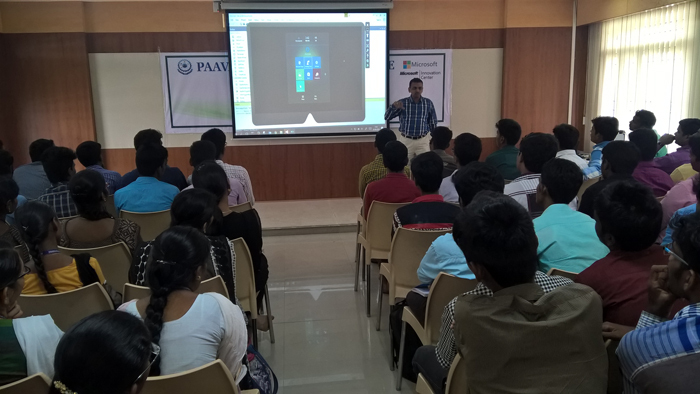 The final “UWP with HoloLens“ session was delivered by Dr.S.Vijayaragavan, MIC Head, Paavai MIC. 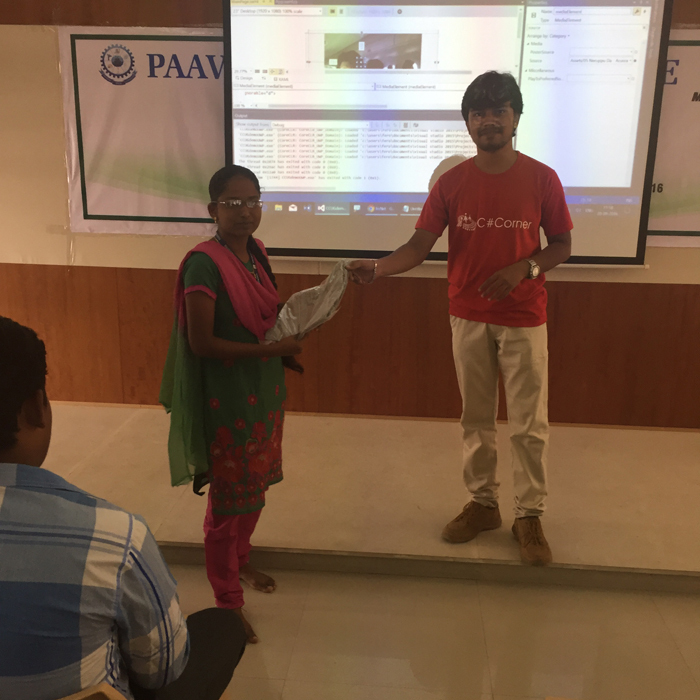 Student Participants (149)learned the basic concepts of Universal Windows Platform and its applications application development and they expressed happiness on their new learning.